The closure of the emergency loan window this afternoon has seen the club part company with a squad member. The club has announced that Luke Rooney and Luton Town Football Club have parted company by mutual consent. Since arriving at Luton, Rooney has been given short term contract but it seems that after seeing his chances limited following a hernia injury, Luke`s best option is to seek his fortune elsewhere. ‘Luke hasn`t featured so much recently after coming back to fitness following a hernia operation, so with that in mind we came to a decision to allow him to pursue a club elsewhere. 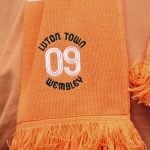 Here at Vital Luton Town we`d like to thank Luke for his contribution to the cause and wish him every success elsewhere.